Come and enjoy Blair Drummond Safari & Adventure Park from the enthralling wildlife reserve to the exciting adventure playground, and much more, a brilliant day out for all the family. 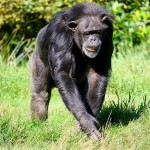 The Park has a huge variety of species for you spot and learn about, including the European Bear, Bactrian camels, chimpanzees, African Lions and many more. Visit the Bird of Prey Centre and witness the likes of Barn owls, Vultures and Kestrels swoop in on their prey. With many more attractions included in your ticket price such as a boat trip around chimp island, sea lion displays, pedal boats and the pirate ship, not only is your day action packed and full of fun, but also fantastic value for money. Don’t forget to pay a visit to Lemur Land, where you can find Ring-Tailed, Common Brown and Red Ruffed Lemurs playing amongst tall bushy trees. Keep your eyes peeled as the creatures are sometimes hard to spot amongst the trees, and there are keepers on hand to point them out and answer all your lemur questions. Blair Drummond Safari Park firmly believe in taking responsibility for the environment and are dedicated to making as little impact as possible on the surrounding environment, both global and local. As well as providing essential conservation work, the park ensures it continually improves on recycling its waste, energy efficient and minimising their overall contribution to pollution.